Opening times: Wednesday to Friday from 11:00 am to 17:00 pm, Saturday and Sunday from noon to 5 pm or by appointment, sculpture garden with free entrance. 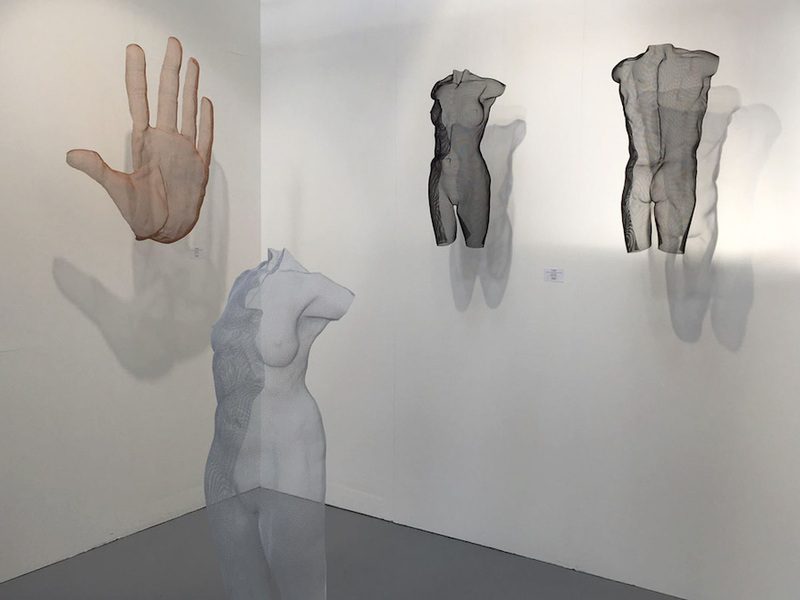 29a Mostra mercato d'Arte Moderna e Contemporanea with Vecchiato Arte, Padova, Italy, presenting a choice of my wire-mesh sculpture. 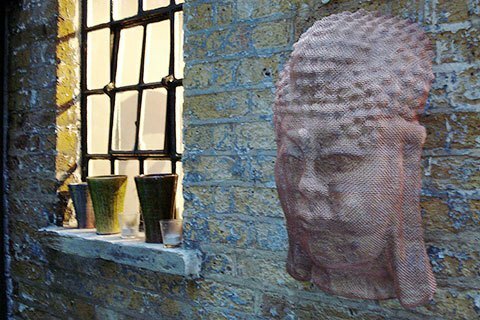 Below: this image features 'Nuud' - a suspended panel sculpture of a female bust in silver and in bronze colour finish. 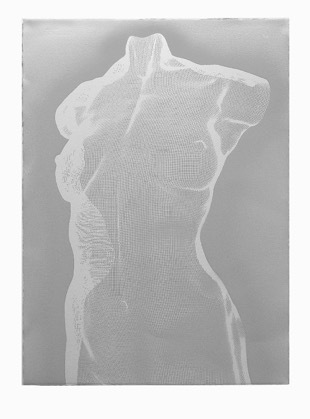 Find more available panel sculptures in limited edition here. 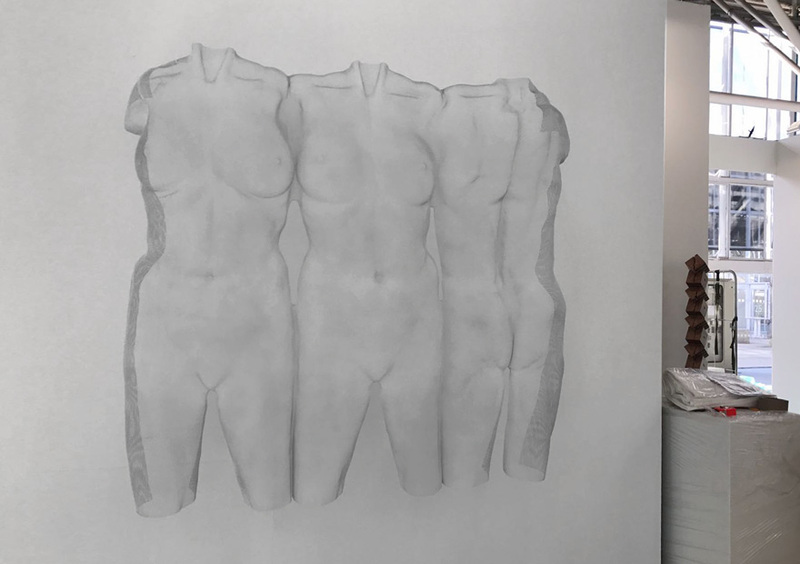 Contini-Contemporary opened a new gallery Contemporary & Co in Cortina d'Ampezzo this summer, where I was in good company alongside Henry Moore with sculpture 'Cinu', a 90 cm high steelmesh sculpture. so if you're nearby I recommend a visit! 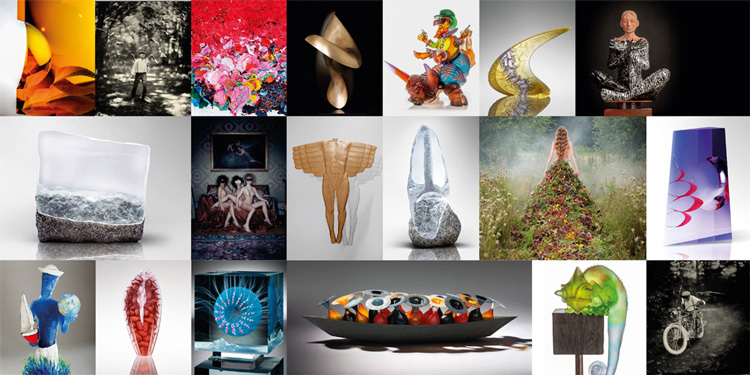 'Art Verona' opening times: Friday 12th October Preview - by invitation only. Monday 15th October from 10am to 2 pm. 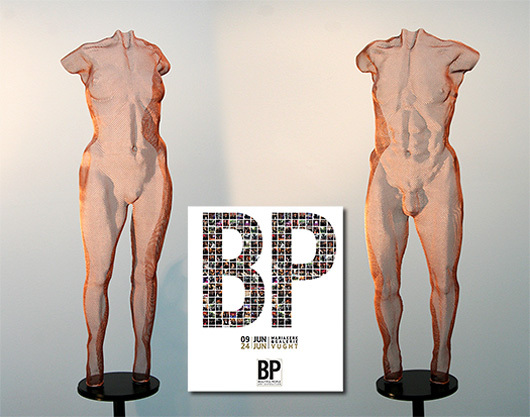 Van Loon Galleries will be organising Beautiful People Exposition 2018 from Thursday 7 June to Sunday 24 June in the Mariakerk in Vught. 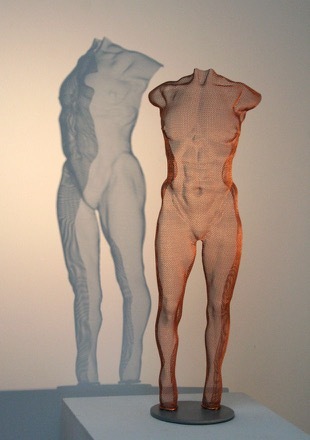 During 17 days the Mariakerk will be transformed into a beautiful exhibition space with the theme; the human bod. A unique atmosphere will be created through decor, light and sound. 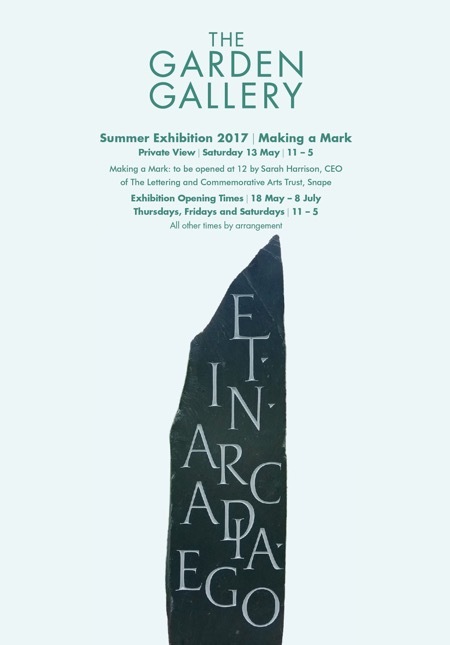 The gallery and garden are also involved in this exhibition. Wijnstra Catering will ensure the culinary interpretation of the event. Visitors can enjoy a delicious cup of coffee with cake, lunch, dinner or just a nice drink. 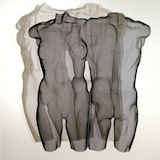 ’ICONS’ - unique sculpture, a composition of two female torsos in steel-mesh, suspended. 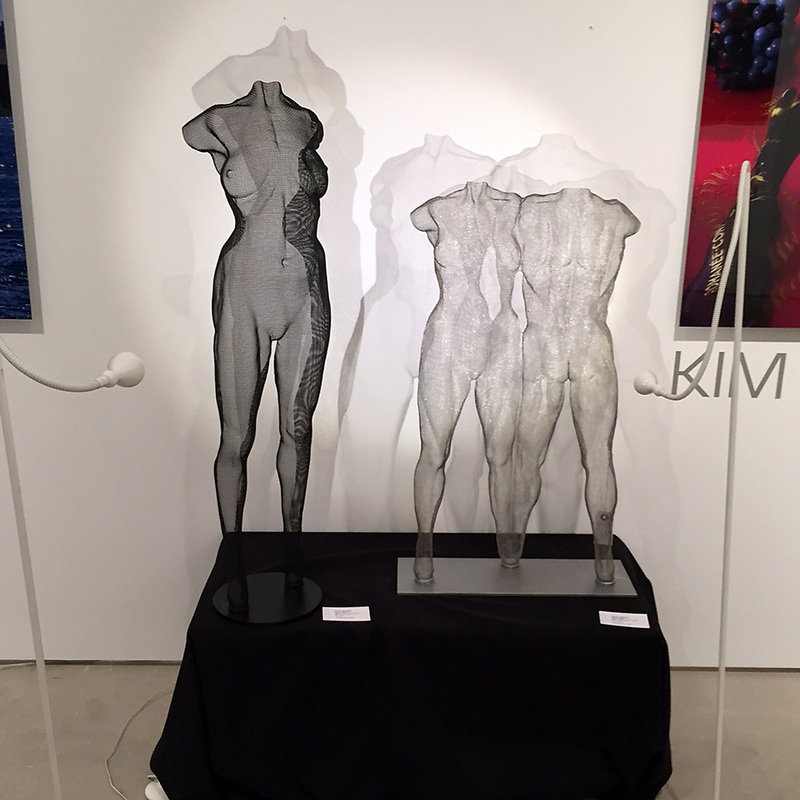 I am happy to exhibit a selection of my wire-mesh art in Mykonos - the summer exhibition at Rarity is a dynamic group presentation of innovative and contemporary art. “A constant and continuous thread of unique and individual moments comprises a single life. By a single conscious moment one is enlightened." 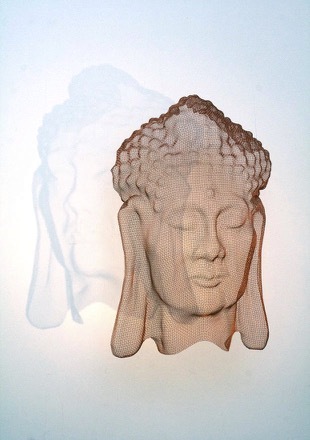 Bronze-mesh sculpture ‘TUUSUM‘ and ‘BUDDHA-HEAD 7‘ will be exhibited with the Garden Gallery this summer. Thursdays, Fridays and Saturdays 11 am – 5 pm, all other times by arrangement. 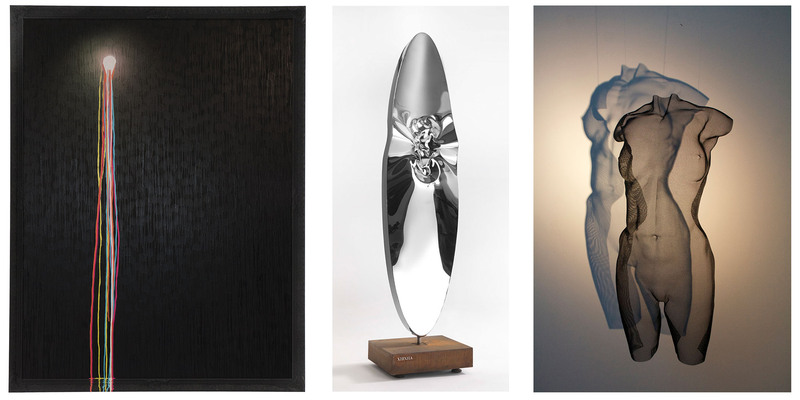 A selection of new sculpture will be exhibited at 'Art Breda' 2018 with Van Loon Galleries, booth 27. 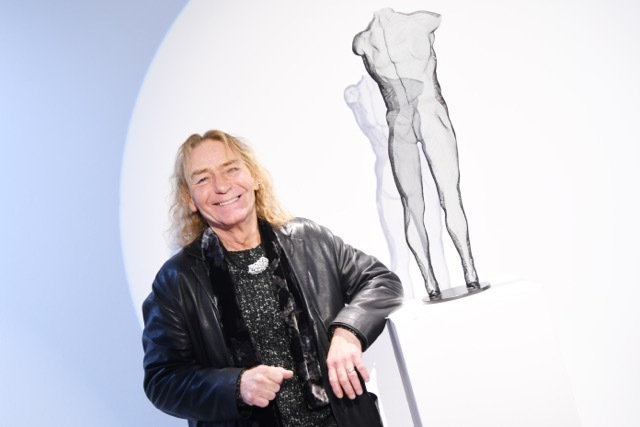 Tickets - Stuur dan een mail naar info@vanloongalleries.com dan zorgen wij dat u kaarten ontvangt. 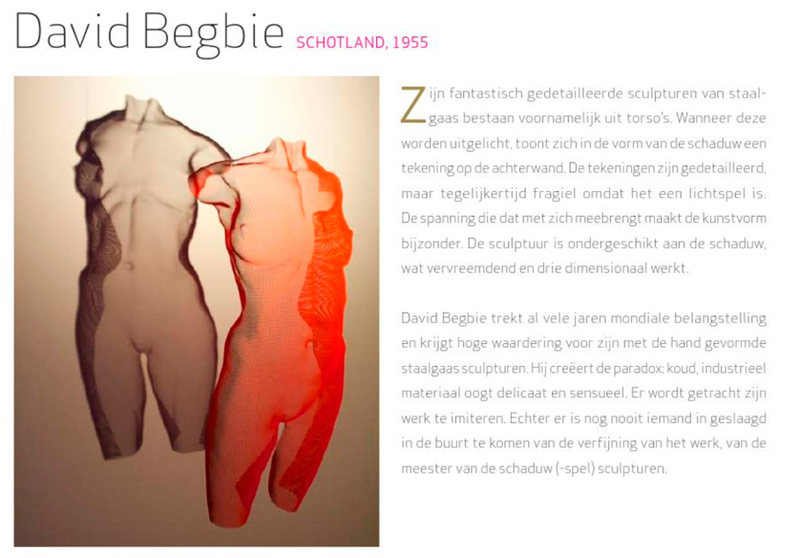 The exhibition presents a broad spectrum of high-quality international contemporary art works: ‘CONTEMPO‘ features unique sculptures from Scottish sculptor DAVID BEGBIE, Italian artist RABARAMA and Dutch steel sculptor RONALD A. WESTERHUIS which interact dynamically with the expressive paintings from English painter NIGEL COX, Swiss artist FRANK FISCHER and German painter IGOR OLEINIKOV. 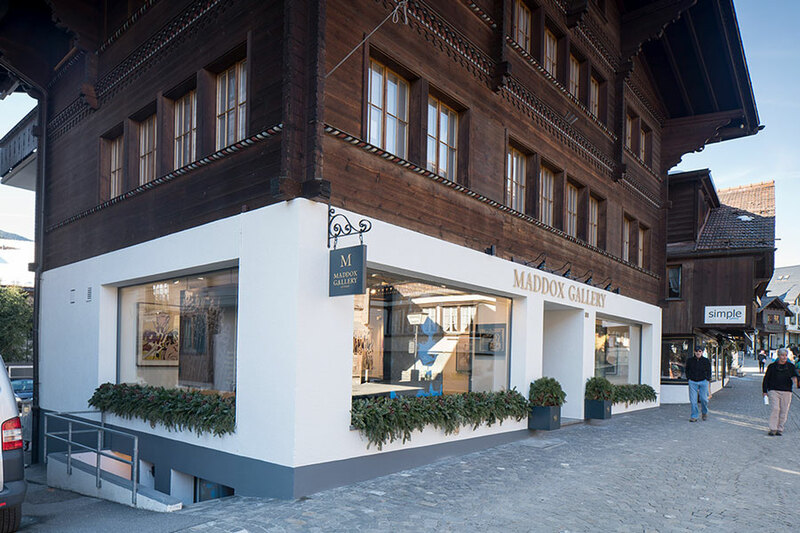 For the first time Maddox Gallery in cooperation with art gallery 10 Hanover is presenting a selection of my sculpture at their new art gallery in Gstaad, Switzerland. 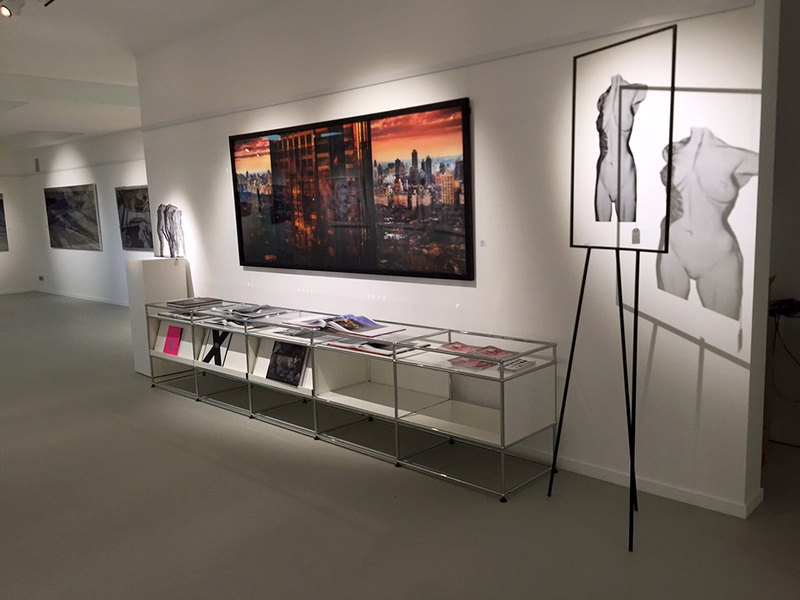 The gallery just opened end 2017 and it is the fourth Maddox Gallery in Switzerland. 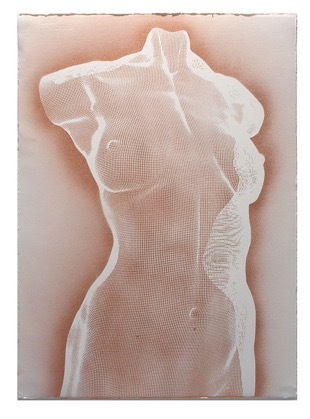 At the exhibition: 'Sensu', 64 cm height. 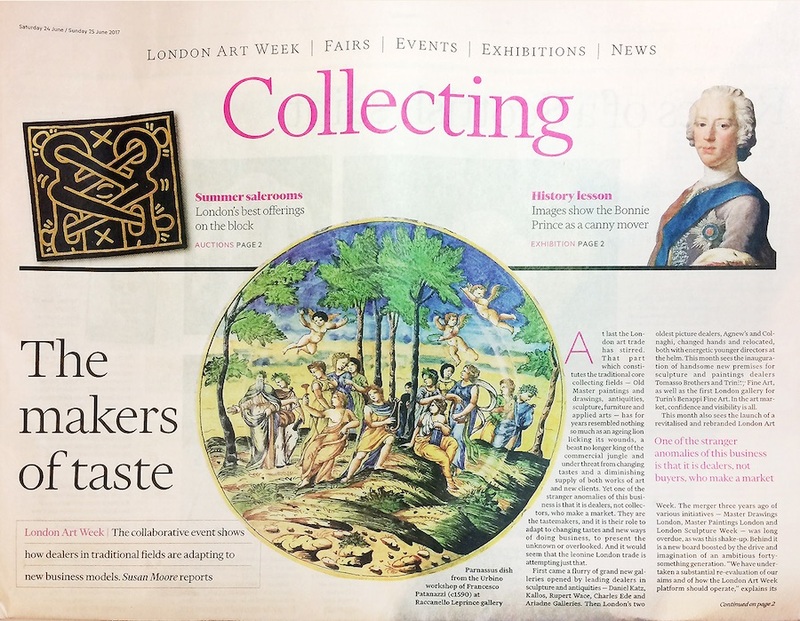 Following the success of last year, ContiniArtUk are excited to announce their participation in the 42nd edition of ArteFiera Bologna. Visit us in hall 25, stand A85 to fully immerse yourself in our exclusive solo project featuring an array of artworks by world-renowned artist Robert Indiana. 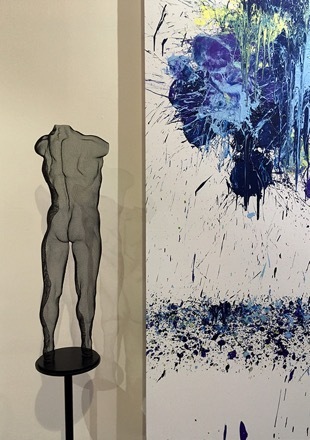 We will also bring a selection of unique works by talented and celebrated artists, such as Fernando Botero, Andy Warhol, Igor Mitoraj, Omar Hassan, Helidon Xhixha, David Begbie, Ferruccio Gard, Michelangelo Galliani and Renato Meneghetti. 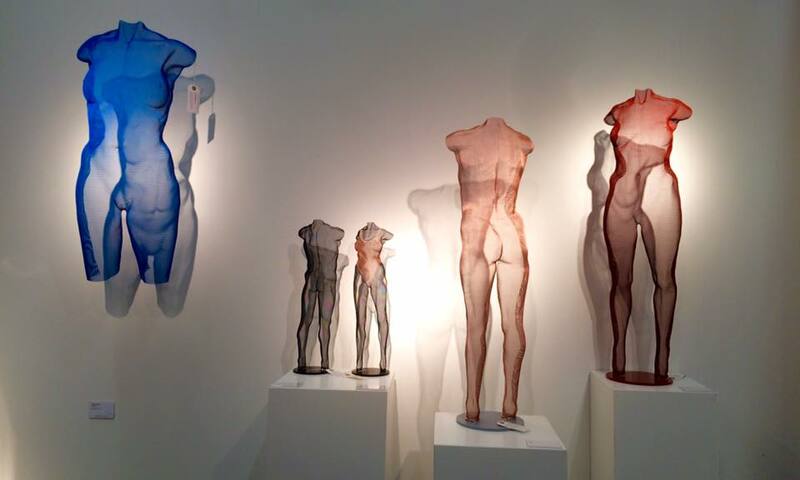 A selection of wire-mesh sculptures will be exhibited at the BAF. Contact Vecchiato Arte for more information and an invitation. 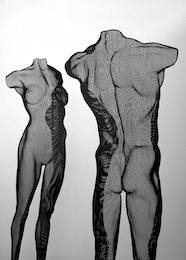 A selection of wire mesh sculpture: ‘Aspro‘ (87cm height), ‘Wontu‘ (67cm height) and ‘Uumo‘ (52cm height). 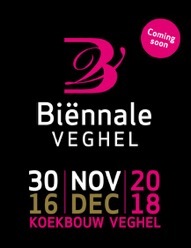 The Biënnale Brabant attracted over 20.000 visitors two years ago, this year Van Loon Galleries promises it to be an even larger-scale event! 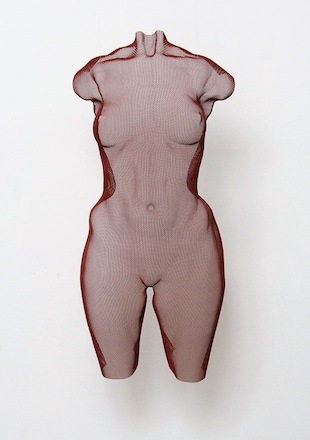 Exhibited at the Biennale: 'Icons', black finished suspended torso sculpture composition, 'Craw' in steel and wire as well as 'Rudu', a steelmesh figure in red-oxide finish. 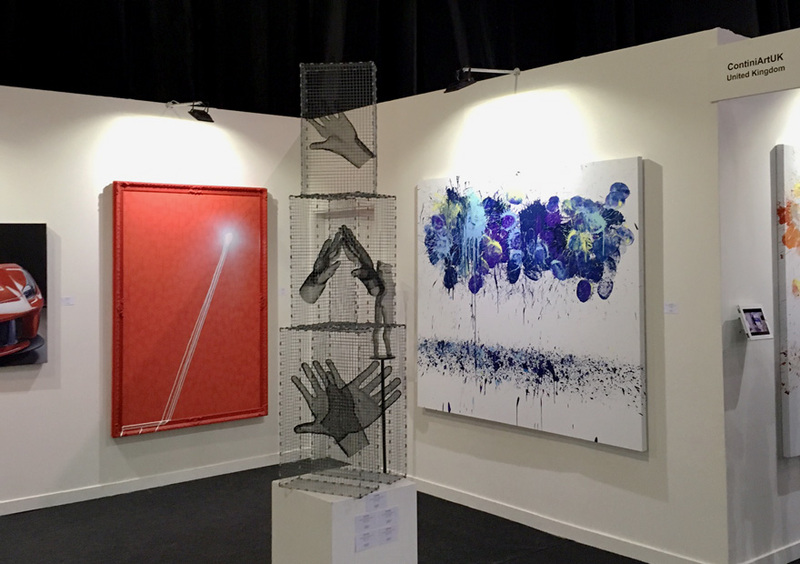 A few highlights of the recent art exhibition by Marshall Murray Galleries during the Monaco Yacht Show 2017. Here is a short video of all highlights (vimeo). The 2017 edition of BEIRUT ART FAIR will offer an exceptional and innovative program that confirms Beirut’s role as one of today’s most vibrant centers of contemporary creation. 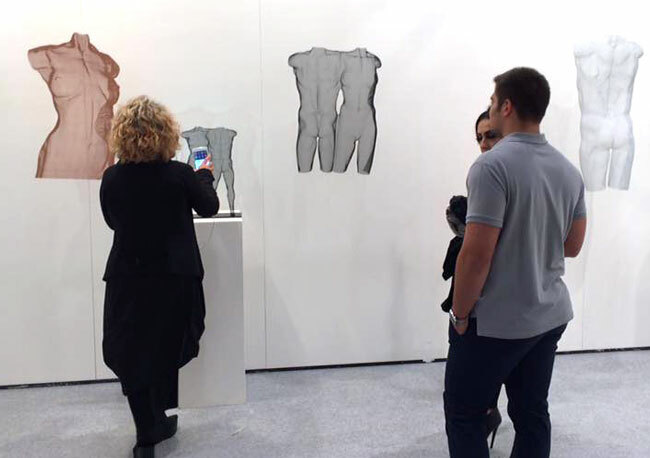 BEIRUT ART FAIR is the leading platform for the discovery of new artists, trends, galleries, institutions, and publications from the ME.NA.SA., thus representing a principal catalyst for artistic development of the region. As Beirut is a bridge between East & West, the fair establishes and builds artistic links between diverse cultures, fostering collaboration between galleries with a demonstrated commitment to making discoveries. 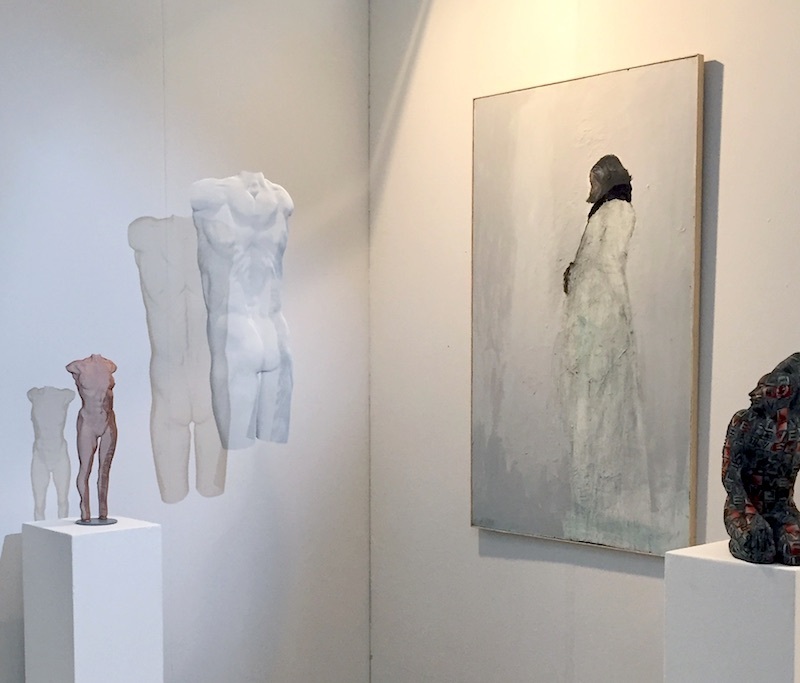 In just a few years, BEIRUT ART FAIR has become an international artistic event that attracts an ever greater number of visitors to Lebanon: professionals and art lovers from the region and from around the world. We’ve decided to highlight this evolution by putting together a selection committee that reflects the support BEIRUT ART FAIR enjoys from the most important art collectors in the region, whom we’ve enlisted on the basis of their rich expertise, their intellectual curiosity, and the quality of their views on the regional art scene. 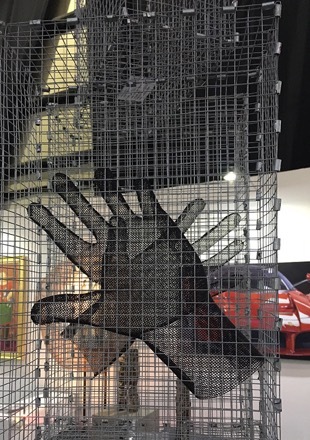 Since its creation in 2010, BEIRUT ART FAIR has served to both spotlight and reinforce a dynamic art market that today finds itself in full expansion, both in Lebanon and in the broader ME.NA.SA. region. From 19 to 26 September 2017, BEIRUT ART WEEK opens public spaces and luxury boutiques of the capital to artistic expression. 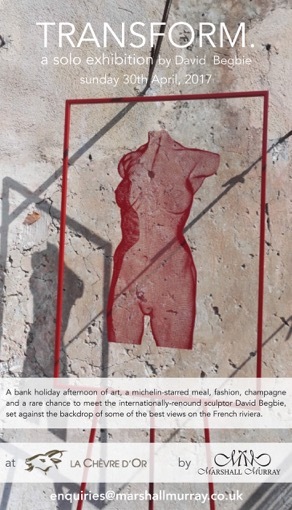 A bank holiday afternoon of art, a Michelin-starred meal, fashion, champagne and a rare chance to meet the artist, set against the backdrop of some of the best views on the French riviera. 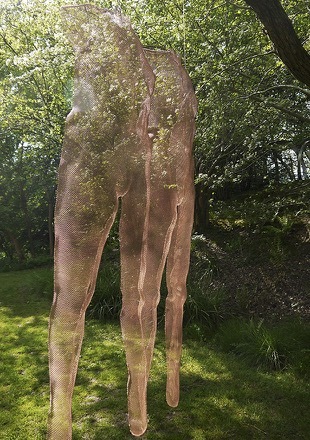 Following on from last Autumn’s exhibition events in Monaco ‘TRANSFORM’ is a selected solo exhibition for La Chèvre d'Or which includes both figurative and abstract sculpture presented in outdoor settings on the mountain side high up above the Côte d’Azur. 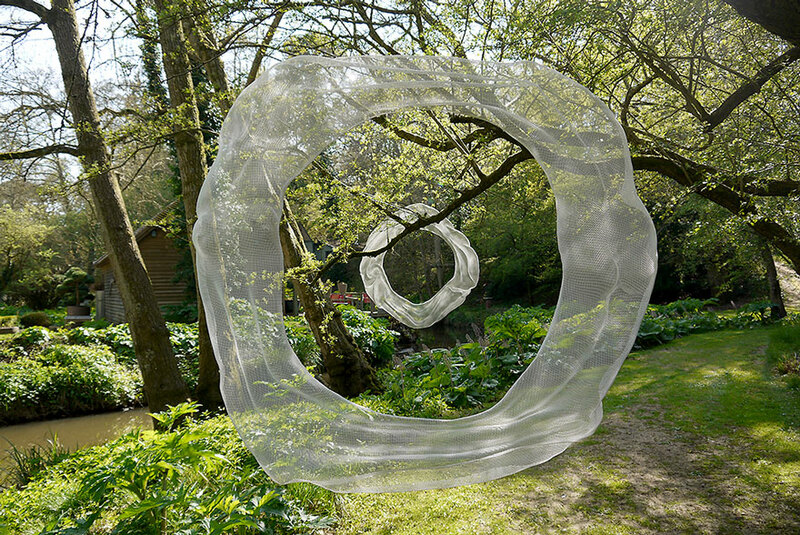 The spectacular venue offers the opportunity to experience the mysterious and captivating transparency of Begbie Sculpture with the interaction of ever-changing light conditions throughout the day where the sea and skies of the French Riviera integrate and merge with the various sculptural forms themselves in perpetual interaction. VIP Press 3pm, 29 April 2017. More info: Oliver Hawkins, Tel. 0044 7779 297638. 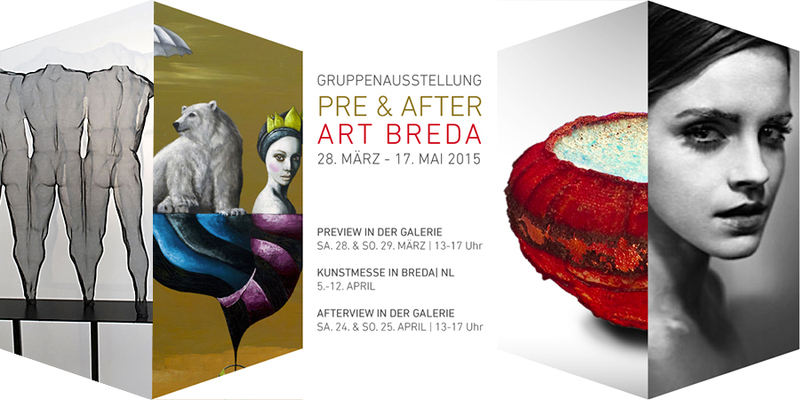 A selection of sculpture will be exhibited at ART BREDA 2017: ‘Cyneu‘, ‘Sineu‘ and ‘Sensu‘. Tickets? Wilt u een bezoek brengen aan Art Breda en onze stand (nummer B14). Stuur dan een mail naar info@vanloongalleries.com dan zorgen wij dat u kaarten ontvangt. 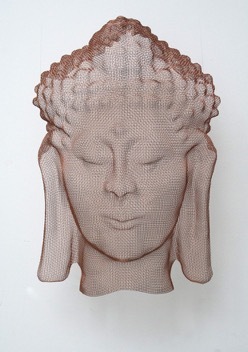 Unique Artworks: Steelmesh sculpture ‘Cyneu‘, ‘Sineu‘ and ‘Sensu‘. 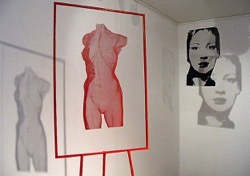 Vecchiato Arte sara' presente alla Fiera d'Arte moderna e contemporanea di Lucca. 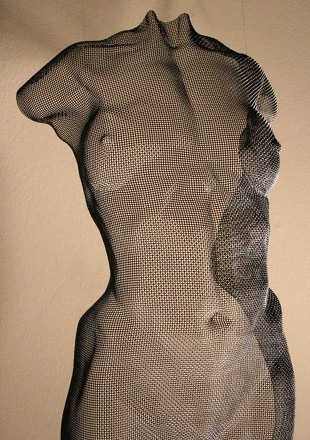 Unique Artworks: Steelmesh sculpture 'Feme', 92cm height and 'Aspro' as a suspended artwork, 87cm height. 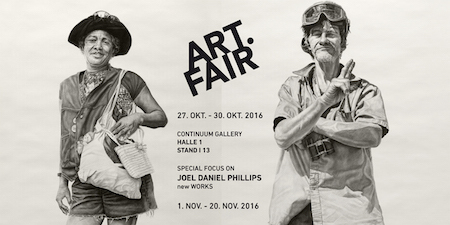 ContiniArtUK are excited to announce their participation at Arte Fiera Bologna running from the 27th to the 30th January 2017. 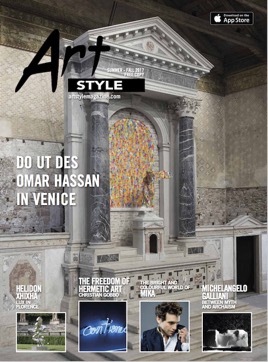 Under the new direction of Angela Vettese, 2017 sees Arte Fiera celebrate its 41st edition, confirming its identity as the longest running and historically rich art fair in Italy, exhibiting works from three of our most prominent artists, Helidon Xhixha, Omar Hassan and David Begbie. 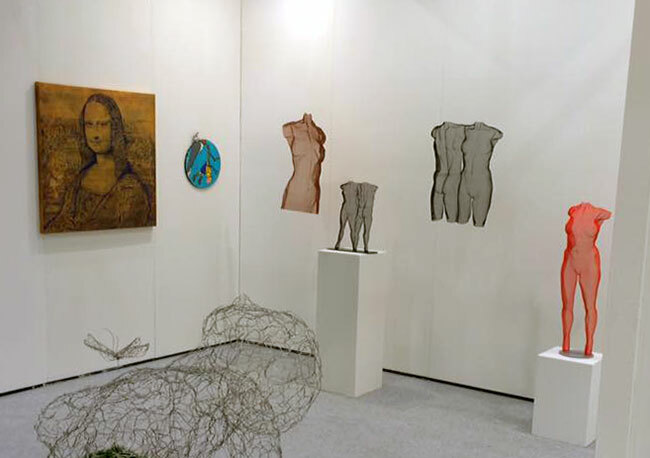 ARTE FIERA 2017, Bologna - sculpture IPALM, TU 2015, WAN 2015 and ICON I 2009. 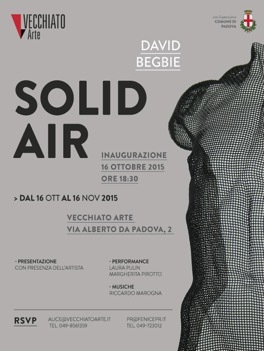 Vecchiato Arte at Arte Fiera Bologna, the most important art fair in Italy presenting a selection of my works. 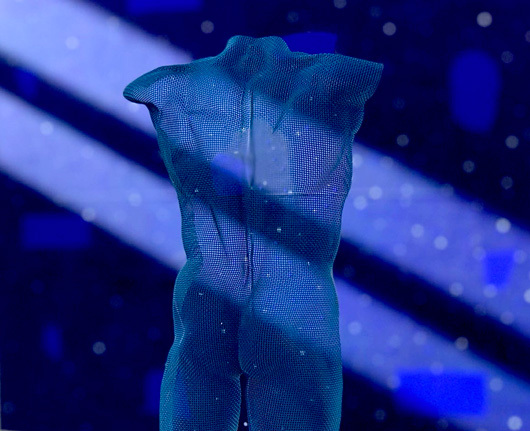 In the image: TUUWUN, a triple figure composition, suspended. 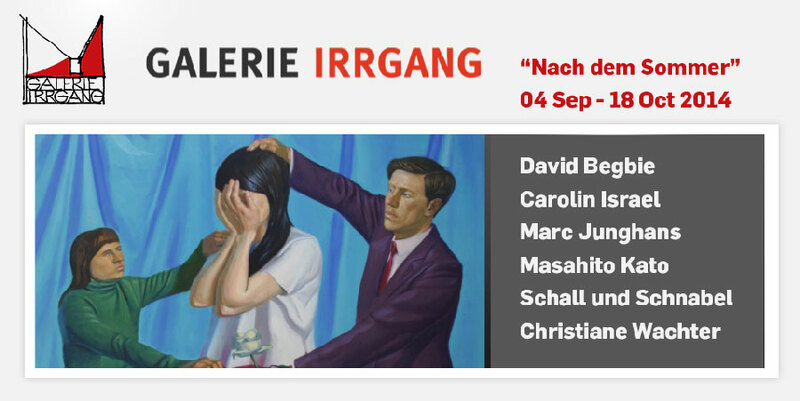 Vernissage 20 November from 2pm - please RSVP! Opening times: Wednesday to Friday from 11.00 to 17.00 pm, Saturday and Sunday from noon to 5 pm. 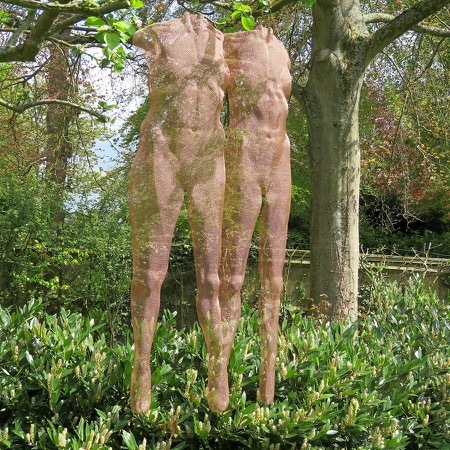 or by appointment, sculpture garden free entrance. Contact me for an opening invitation! 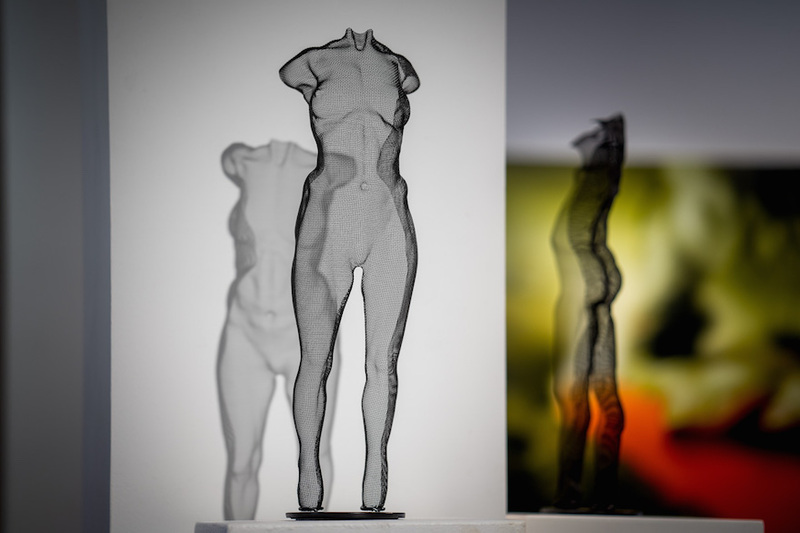 Images: New sculpture ‘Cyneu‘ and ‘Sineu‘ 2016 on pedestals, Art fair logo and ‘Asblu‘ 2016 (unique), bronze-mesh sculpture in blue colour finish, suspended. 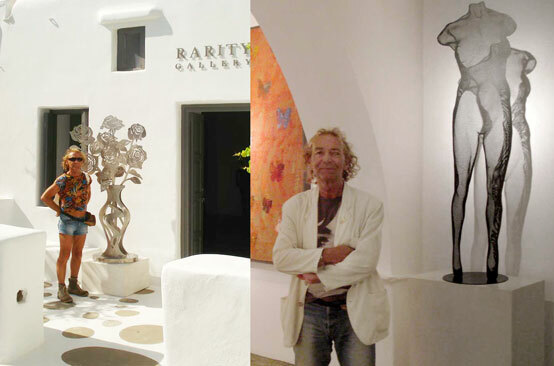 Art Gallery Marshall Murray exhibits a selection of my work in a beautiful sculpture garden Fern de La Gorra in Southern France. 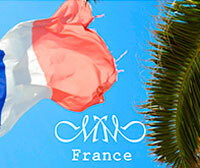 Highly recommended – a visit when you're near Monaco! 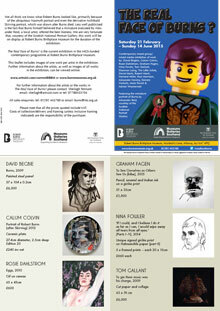 Please email Oliver Hawkins (by appointment only). Many thanks to Oliver Hawkins from Marshall Murray Gallery and Club Vivanova who organised the 2016 Luxury Yacht Gourmet Experience, featuring a selection of my steel mesh and steel panel sculptures on the yacht. 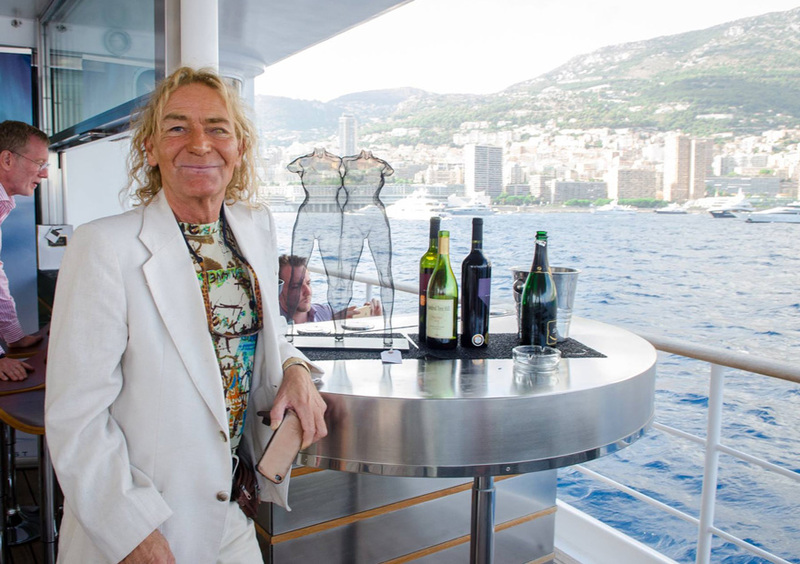 Bradley Mitton from Vivanova arranges lunches and cocktail parties during the Monaco Yacht Show in the Port of Monaco, Monte Carlo. 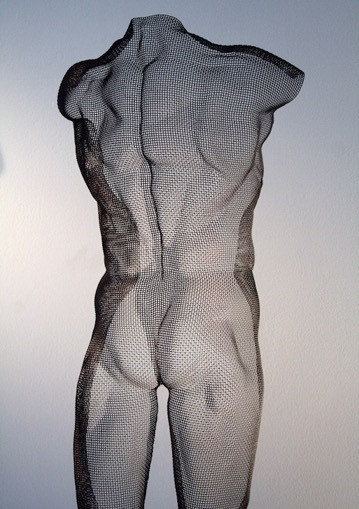 Continuum Gallery, Königswinter, Germany presents sculpture in ceramic, bronze, stone, rice paper, steel and glass including a selection of my steel mesh- and bronze mesh work. 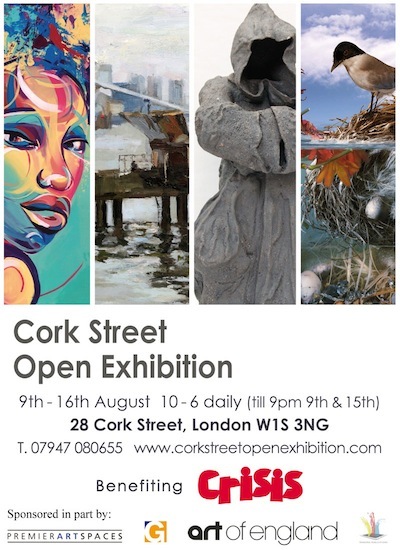 ContiniArtUk presents masterpieces on paper and will include a few examples of my unique mono prints "NUUD"
Contact me for a complimentary VIP preview ticket on 1st of September! 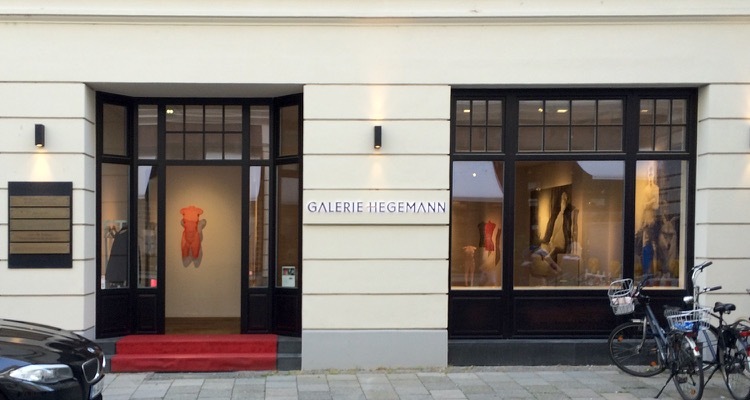 "SILHOUETTE" – solo exhibition 2016 in Munich: Galerie Hegemann, Hackenstraße 5 together with paintings by Igor Oleinikov. 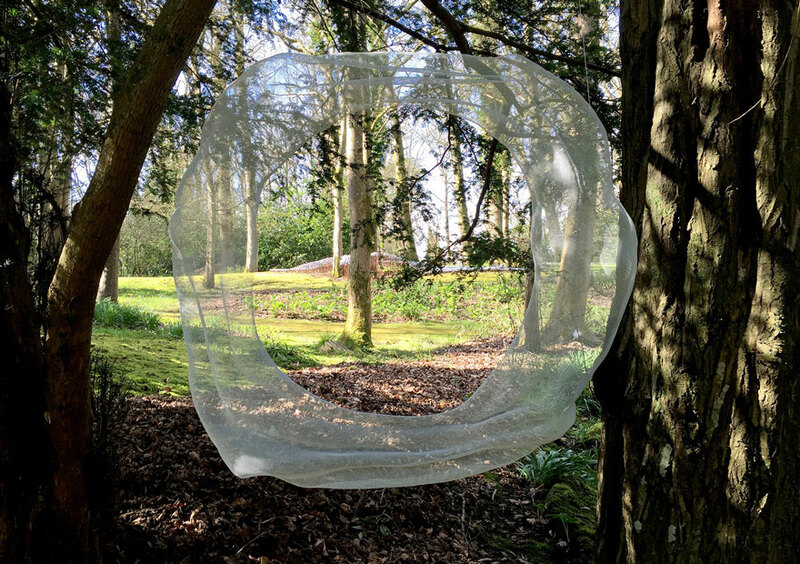 17 days: From Friday, 27th of May until Sunday, 27th of June Van Loon galleries organises the fourth edition of the Biennale Vught, a unique international art exhibition not to be missed. 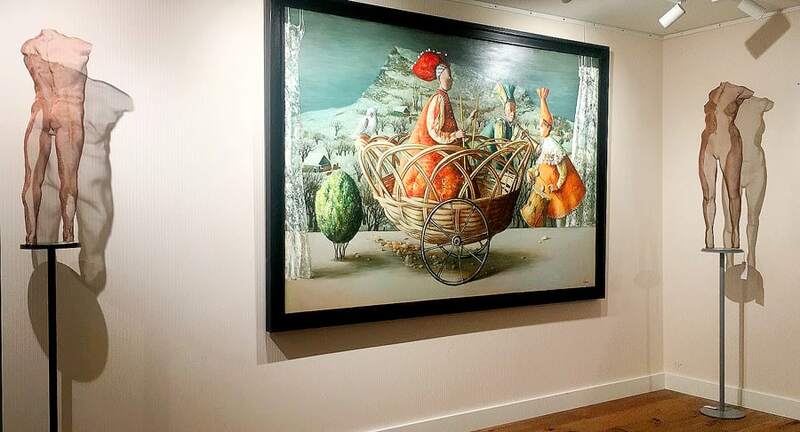 More than 40 national and international artists exhibit work especially made for the Biennale, from paintings and sculptures to glass objects and sculptures. 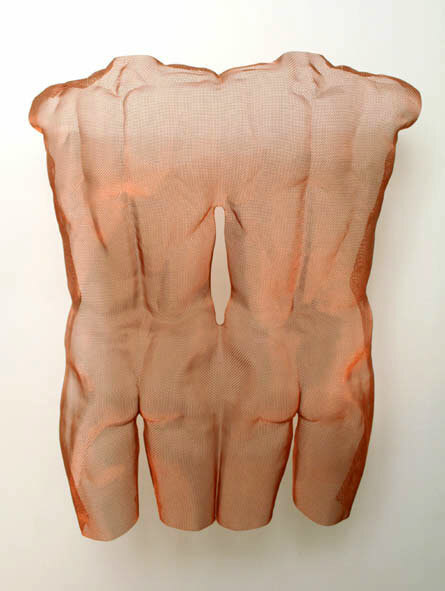 The Biennale Vught opens daily between 11am until 6pm in St. Mary's Church and the gallery in Vught, The Netherlands. 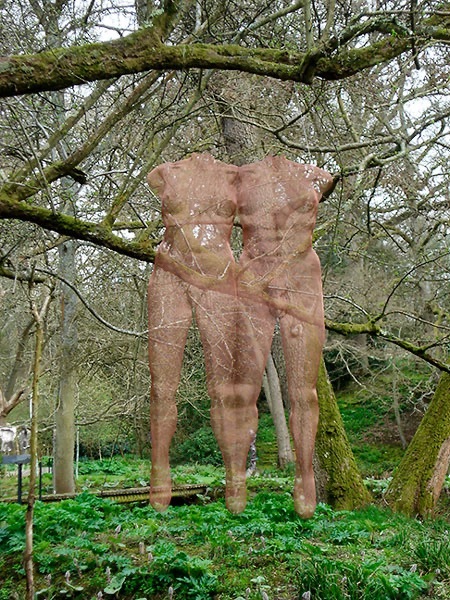 Request similar available sculpture suggestions by email. 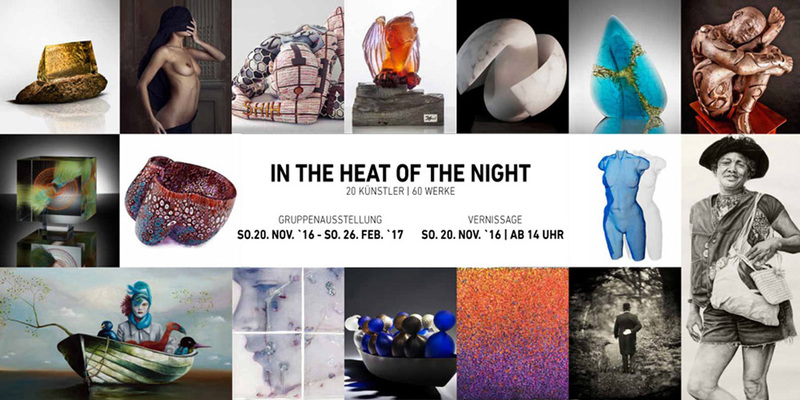 Continuum Gallery - expressive glass & contemporary art, Königswinter, Germany, will exhibit a collection of my sculpture at Art Palm Beach. 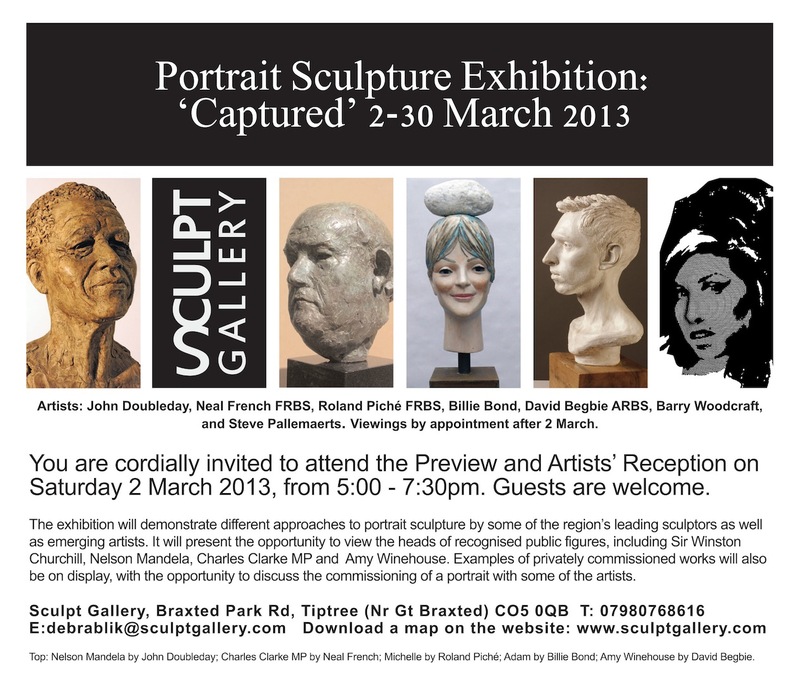 Reopening of OPIOM Gallery after refurbishment! 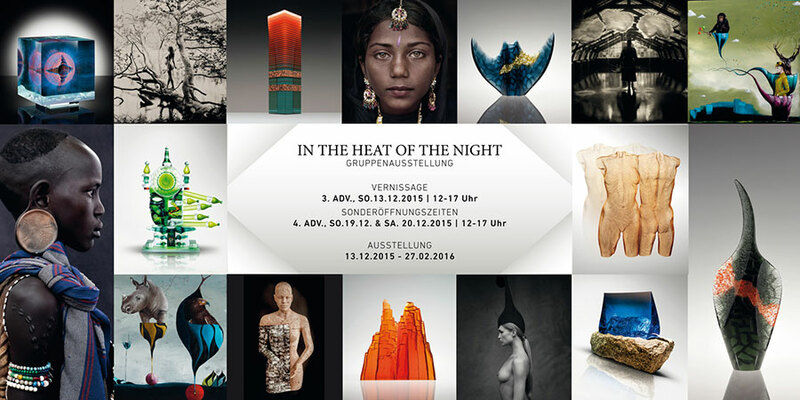 I am happy to be represented by Continuum Gallery and look forward to visit lovely Rhineland for one of the events of this promising group exhibition with Vincent Peters, Lezzueck Coosemans, Deanna Clayton, Wilfried Grootens, Stani, Marek Zyga, Tim Ernst, Christian Klant and Bernhard Quade. 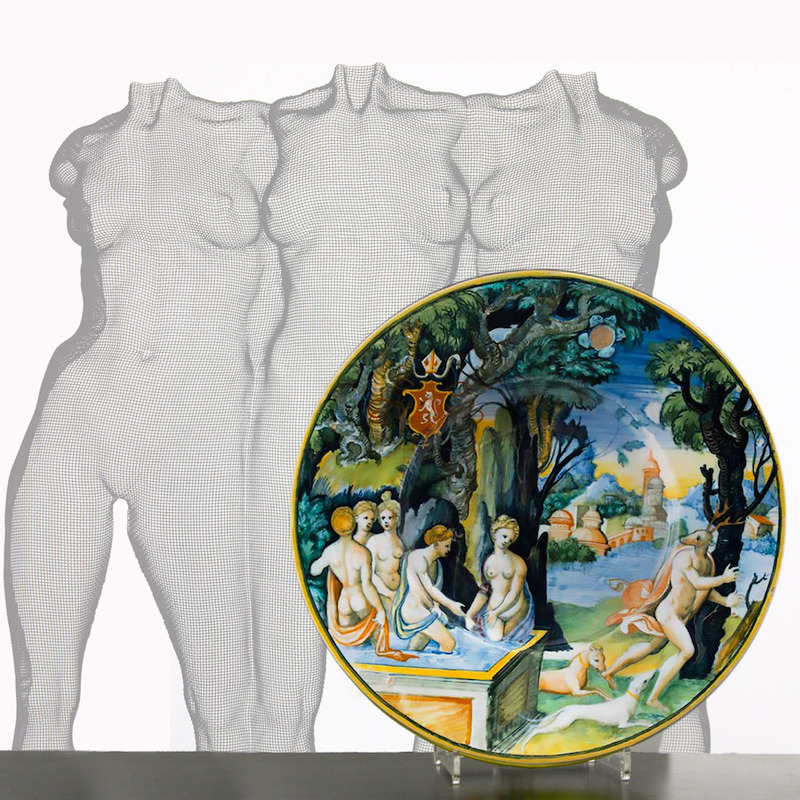 In the picture: 'Prima', a male figure and 'Tensus', a double figure composition - approx. 50 cm height. 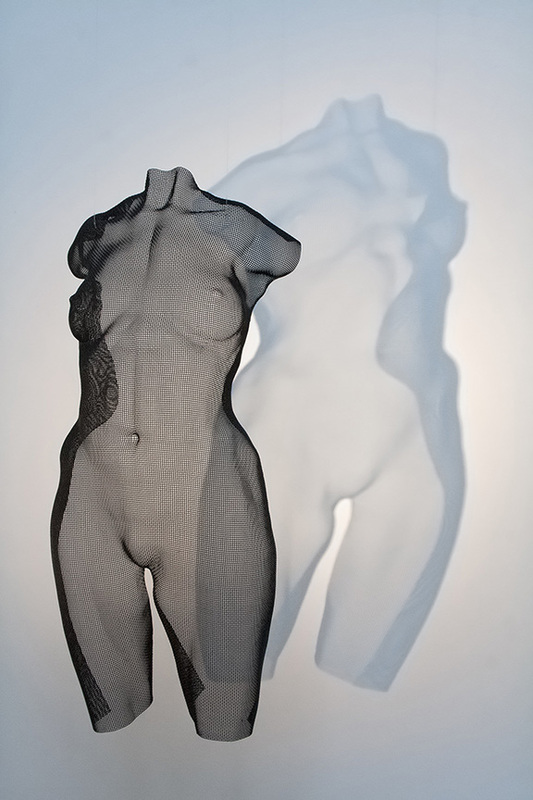 In the picture: ‘Venus‘ large black, mounted and suspended steel-panel in limited edition, unique steelmesh torso ‘Pnumu‘, suspended, and ‘Icon I‘ - a life-size sculpture in white finished bronzemesh. 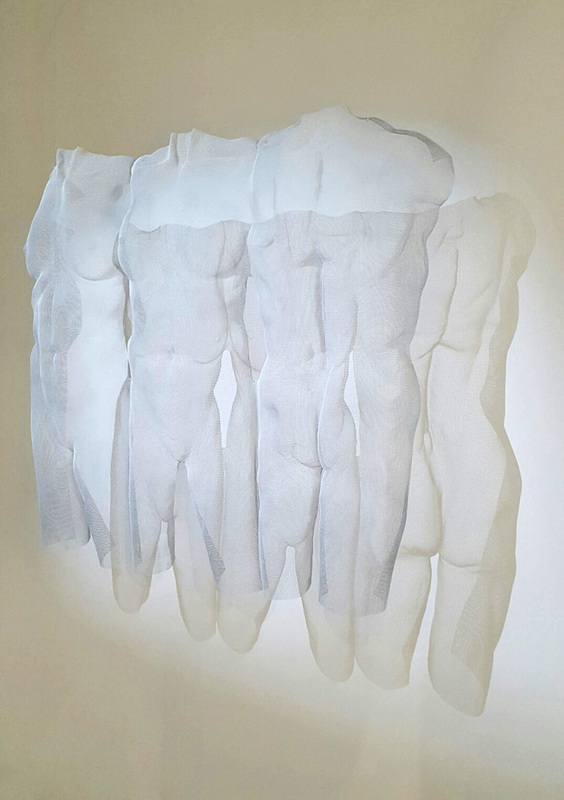 Many thanks to Eve / Opiom Gallery sharing images of my sculpture at Art Wynwood! 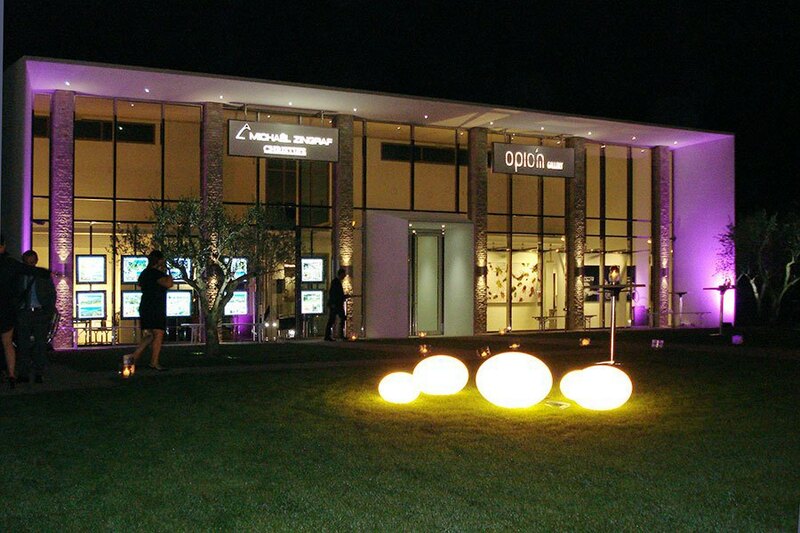 OPIOM Gallery in partnership with SNAP Orlando welcome you in a temporary space located at CU1 Gallery. 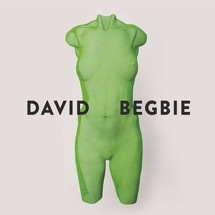 Artists: Guido Argentini, David Begbie, Tim Flach, Carole A. Feuerman, Kim Joon, Marc Lagrange, Jee Young Lee, Olivier Valsecchi, Nick Veasey, Dean West, Zhu Ming. 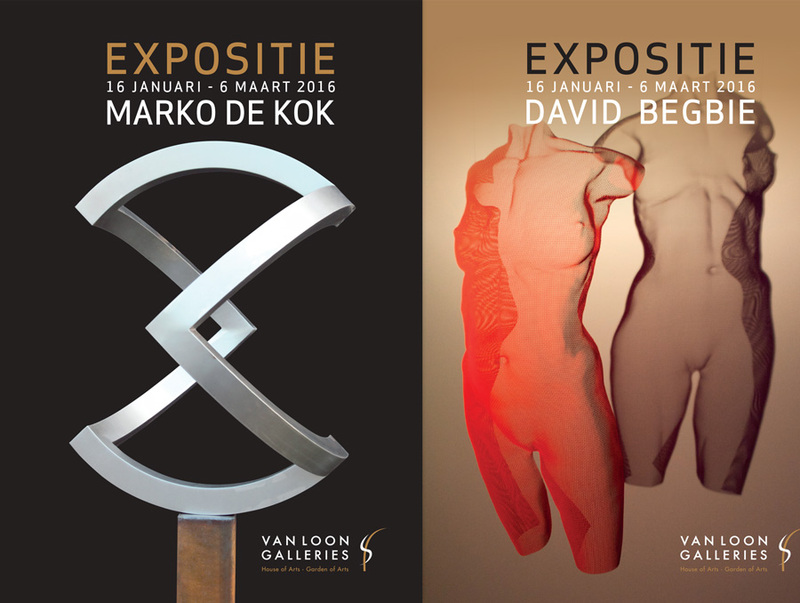 Van Loon Galleries will exhibit a selection of my work at ‘Excellent Beurs‘ in Rotterdam, The Netherlands. 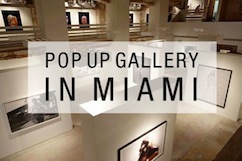 OPIOM Gallery will exhibit a selection of my work at Art Miami 2014 Context: Booth # E68. Opening times: Wed 3 - Sat 6: 11am - 8pm, Sun 7: 11am - 6pm. 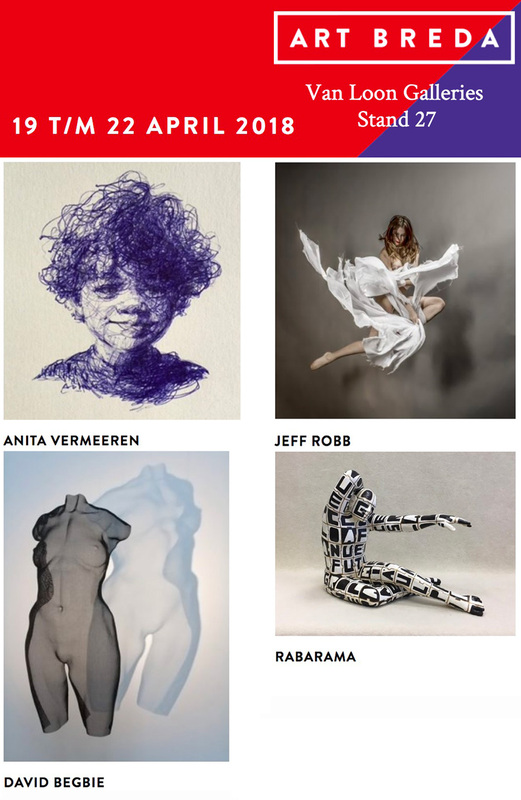 Van Loon Galleries opened a second venue in Amsterdam and are showing a selection of my work also at the Affordable Art Fair Amsterdam 30 Oct - 2 Nov 2014. 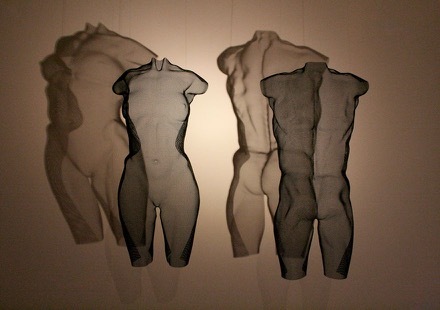 In the image: IKONS, suspended sculpture in steel-mesh, unique. 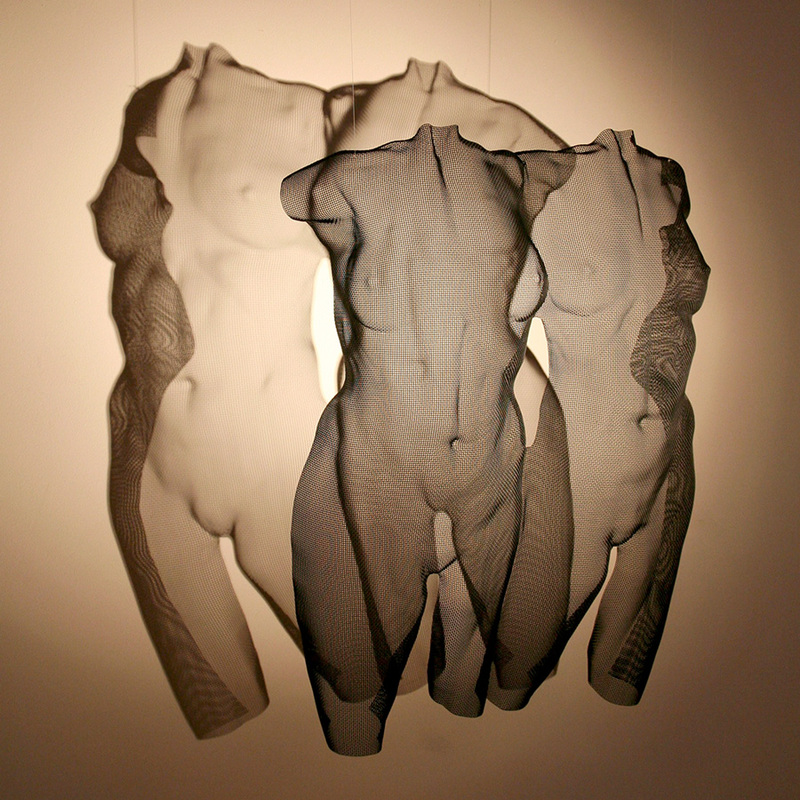 A composition of a triple female torso, black colour finish. 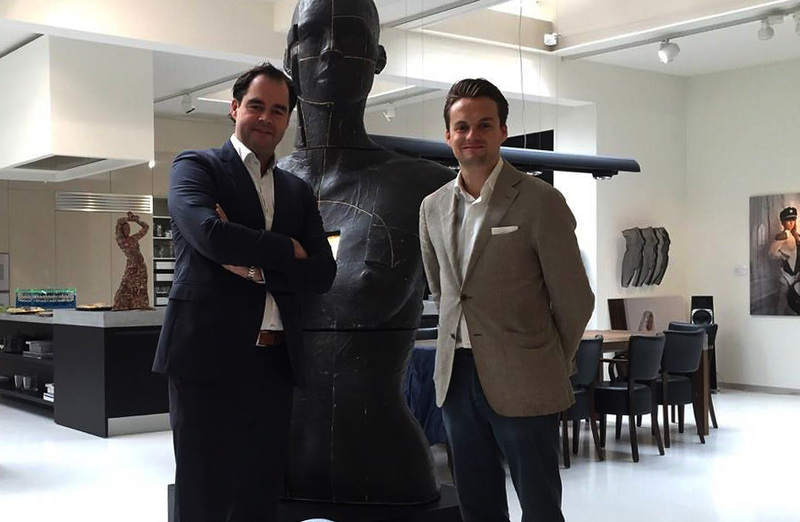 Van Loon Galleries The Netherlands, opens their new gallery in Amsterdam with 360 square metres exhibition space. Opening Times: Tuesday until Saturday 11am - 5pm / Sunday 12-5pm. 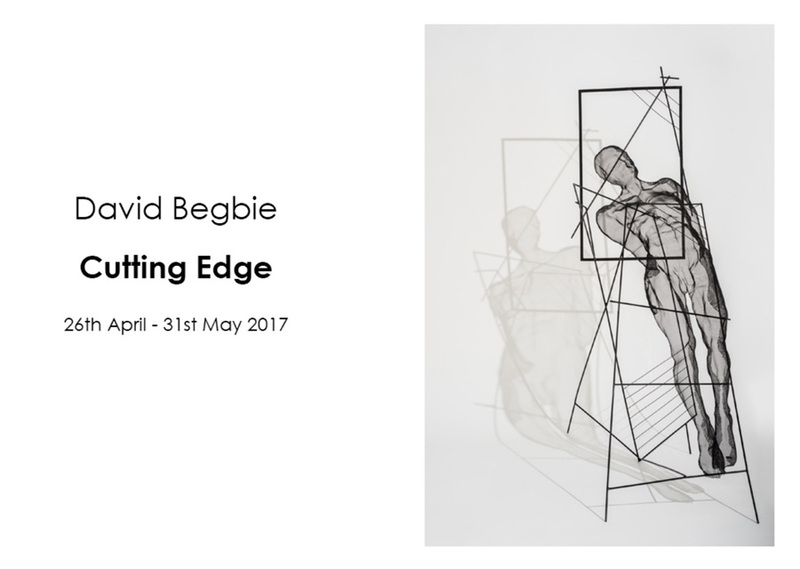 “We are so delighted to welcome David Begbie to this exhibition I have been a long time admirer and friend of this hugely talented sculptor. 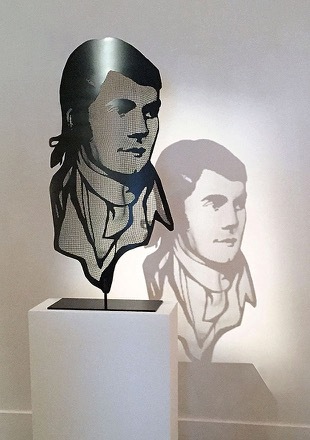 His hand worked wire mesh sculptures which on their own are stunningly forceful but then the added beauty of them when lit, as they throw shadows on the walls, make them spectacular.” Gillian Catto. 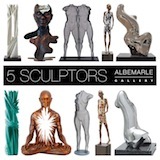 A selection of my sculpture will be exhibited with Van Loon Galleries in Knocke on the International Art & Antiques Fair. 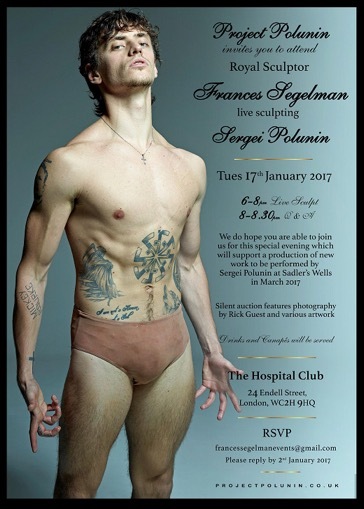 I have been invited by Stephanie Harwood and Krassi Gormley to represent the UK in this forthcoming fundraising event and I am very pleased to be able to offer a sculpture originally made as a working maquette for a giant sculpture commissioned for the Millennium Dome, London in 1999. The Consul Spouses Shanghai (CSS) Project with representatives from over 30 diplomatic missions' fund raising activity 2014 is an art project designed to help Children of the World and to support International Women's Day to which I have donated "PROTU" for exhibition and auction. 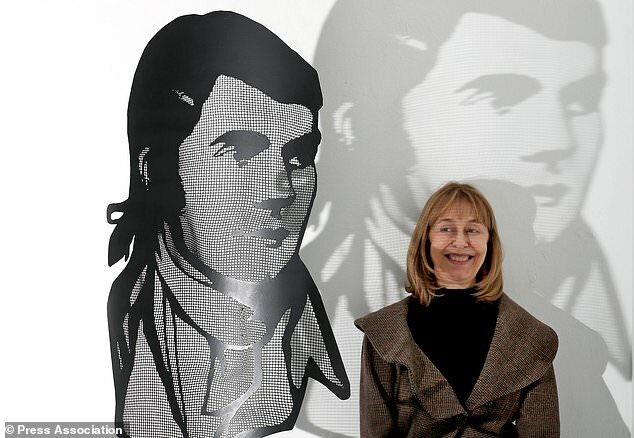 On Sunday 2 March 2014 a live auction took place at the exhibition centre, including PROTU. 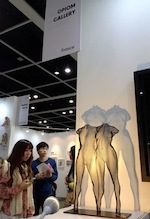 The sculpture fetched RMB 23,000 (approx. £2,300.00) and all funds will go towards helping children with birth defects have corrective surgery. I am very happy the sale of "PROTU" could fund 10 operations for correction of cleft palate. Van Loon Galleries will exhibit a selection of my work. Opiom Gallery will exhibit a selection of my work in Hong Kong HKCEC. 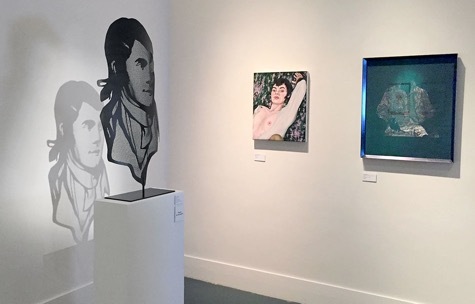 Situated in the vicinity of Cannes in a brand new and uncluttered 500 m2 space, OPIOM Gallery promotes emerging and established artists - all of whom demonstrate a willingness to unravel and push forward their medium of choice. 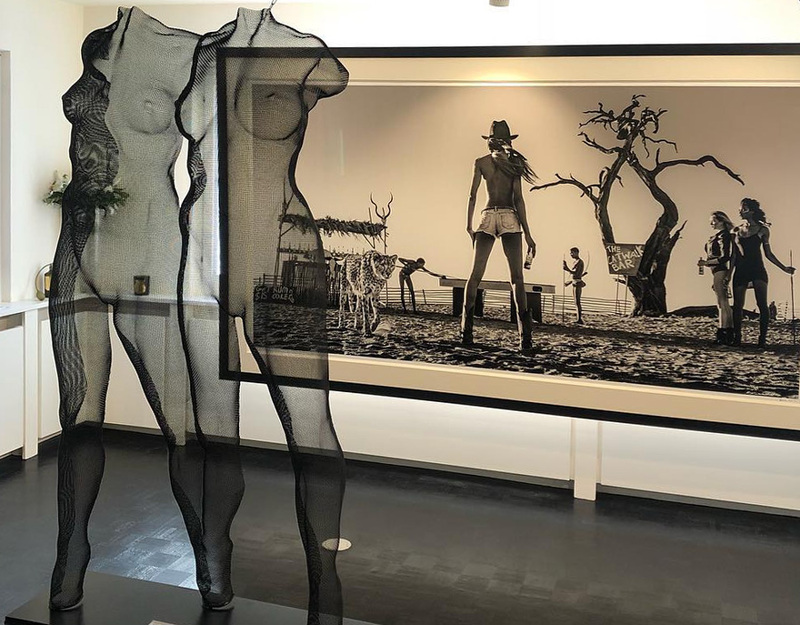 From Korea to the United States, from traditional photography to digital art, from bronze mesh to forged steel, all of them have passion and authenticity for common grounds. 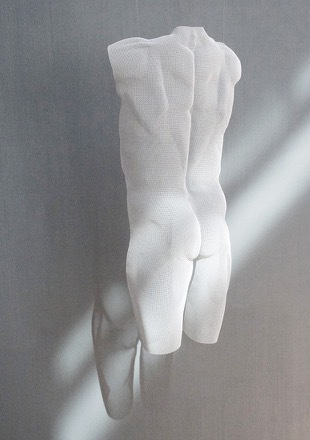 Many thanks to Van Loon Galleries, The Netherlands! 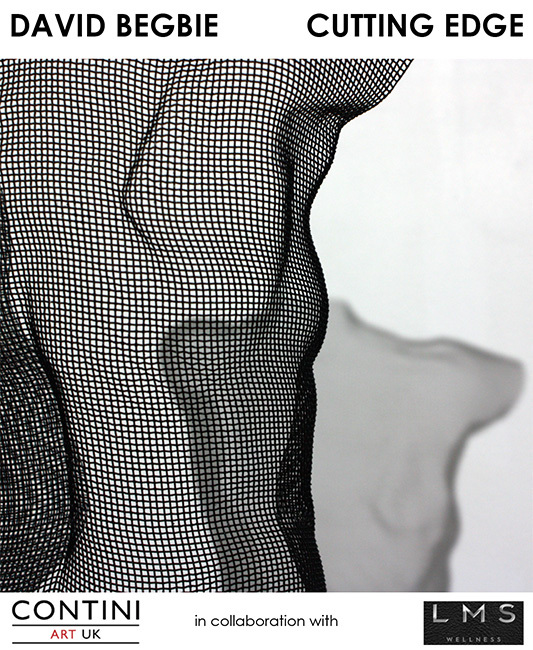 Image: RHUDU 2013, unique steelmesh sculpture, suspended, 2013. 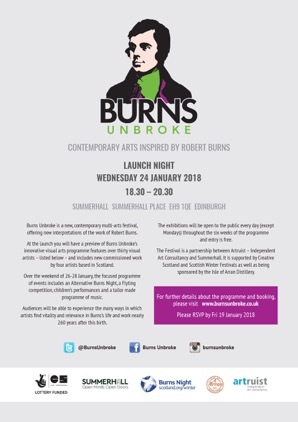 The concept of the show is to create a dynamic group presentation of the new and innovative techniques of all the contemporary participants artist and a selection of my sculpture is on show. If you are happen to be in NYC on 8th of May send me a rsvp if you like to join! 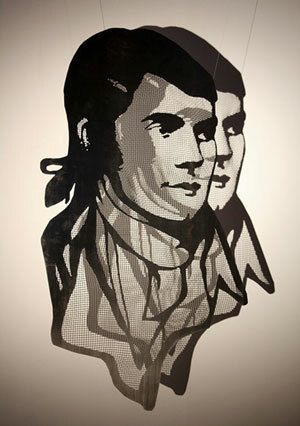 I am pleased to show together with Keith Haynes and Kim Clayton-Jones, Art-Partnership presenting Vinyl Art! Van Loon Galleries is showing my work. Being an important centre of the avant-garde art in Northern Europe, Amsterdam has also another, much older and richer tradition – that of realism. Dutch painters were famous since Renaissance through the 18, 19 and 20 century. In the middle of the 20c., a movement called magic realism contributed with important figurative paintings depicting figurative scenes in a fantastic, mysterious scenery. 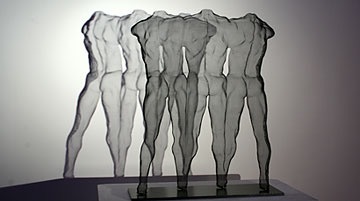 The sculpture network New Year's Brunch 2012 invited to show at Hauset, Belgium. 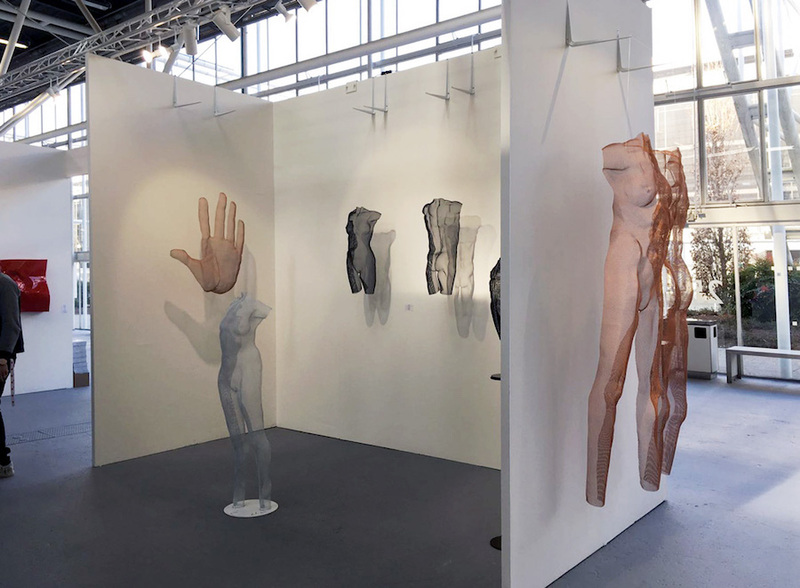 2,000 artists, art lovers and art mediators gathered simultaneously in order to toast the New Year, pay tribute to the art of sculpture, discuss with like-minded and meet new people. 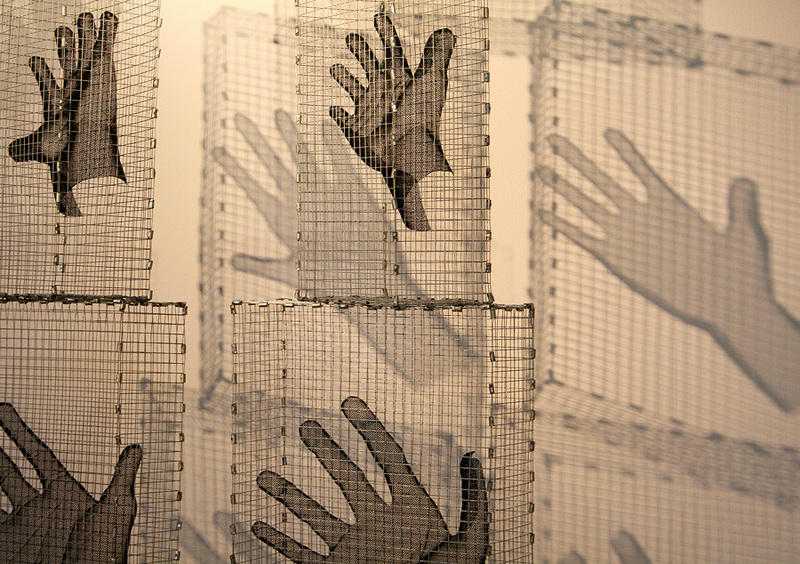 All guests expressed their solidarity with three-dimensional art and their desire to convene. Brunches took place at artists studios, galleries, museums and other cultural institutions.